Electric box adapter for Sense Magic sensor rough-in 4×4″ or double gang for new construction. 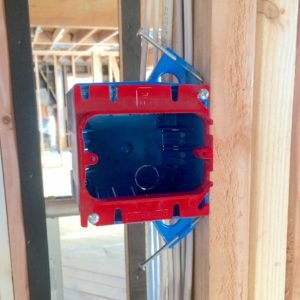 It works with 4×4″ and double gang electrical box and substitutes the old retrofit box. The Messana Radiant Cooling Sense Magic temperature and dew-point sensors need to be placed 5 feet away from the floor and out of direct sunlight and drafts. This is a great adapter and makes installing the sensor a breeze. I have been waiting for sensor installation like this my whole career. Good job Messana team.